Join Baba Yaga’s only granddaughter in a series of pulp fantasy fairy tales! These were the days when the three Romes had fallen. When the mother of the world had bled, when the Ice Horde had conquered Archangel, when the trees had marched on Muscovy, and when only white-walled Kiev stood against the forest. These were the days when Sasha Witchblood roamed the land, and tread its mud and jewels alike beneath her feet. Everyone calls Baba Yaga “Grandmother.” For Sasha, it’s the truth. Journey through a Europe being slowly strangled by the forest in adventures where Robert E. Howard meets the Brothers Grimm. …a brutal, cunning heroine who wanders a world made of equal parts history, folklore and fairy tale. This is Red Sonja as written by the Brothers Grimm, with a dash or three of Tanith Lee for flavour, kicking around the forgotten parts of Russia and the Middle East and getting into supernatural trouble. Quick collection of evocative short stories. Think traditional Russian folklore through a modern feminist lens. Perfect for a snowy afternoon. A very good dark fantasy anthology that meshes Slavic and European and other mythologies with the dreamlike writing of Tanith Lee. The Girl and the Gallows: In which a mysterious stranger rescues a damsel from a wolf, and confronts a wicked stepmother. 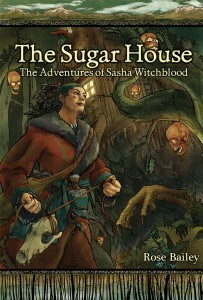 The Sugar House: Sasha meets a brother and sister alone in the woods, and falls into the sweetest of traps. The Jaws of Sleep: With Prince Suleiman, Sasha sacks the palace of the Sleeping Beauty. A Witch Shall Rule: In a holy city, Sasha faces what she could become. The Hills of the Dead: Reluctantly helping a young woman seek her dowry, Sasha descends into a nightmare world beneath the mountains… and uncovers the secret of the bleak village above. 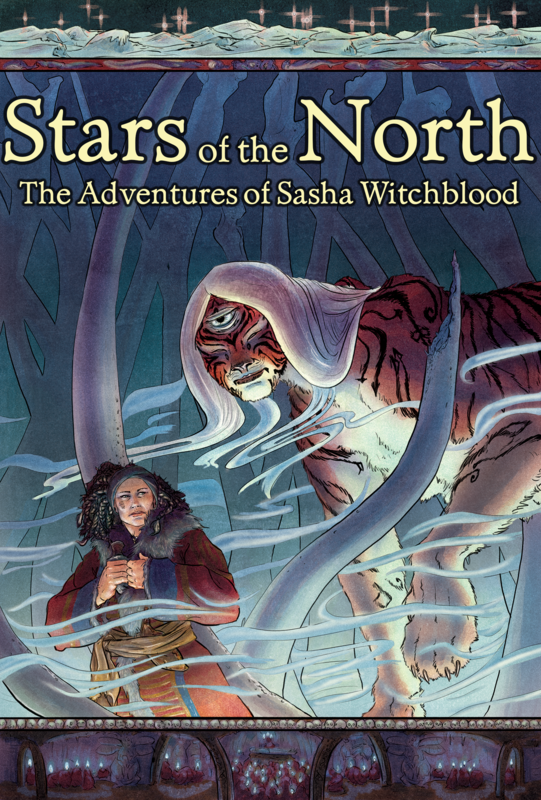 Stars of the North: After the army she’s following is slaughtered, Sasha must lead the survivors across the frozen sea of Bifrost… and through the fey traps of the frost-giant’s daughter. The Watcher: Wounded by a brigand’s pet demon, Sasha is taken in by a farmer who’s quite taken with her… but who is the brigand, and how can he be slain? The Ice and the Tiger: When the caravan she’s traveling with is attacked by a terrible beast, Sasha must seek out a force as ancient and monstrous as her grandmother… but the price is one she never thought she’d pay. The Uninvited: Under the curse of a wicked boyarina, Sasha is forced to hunt down her most dangerous quarry… the fairest of them all. I’ve written a few blog posts about Sasha and her world and adventures. 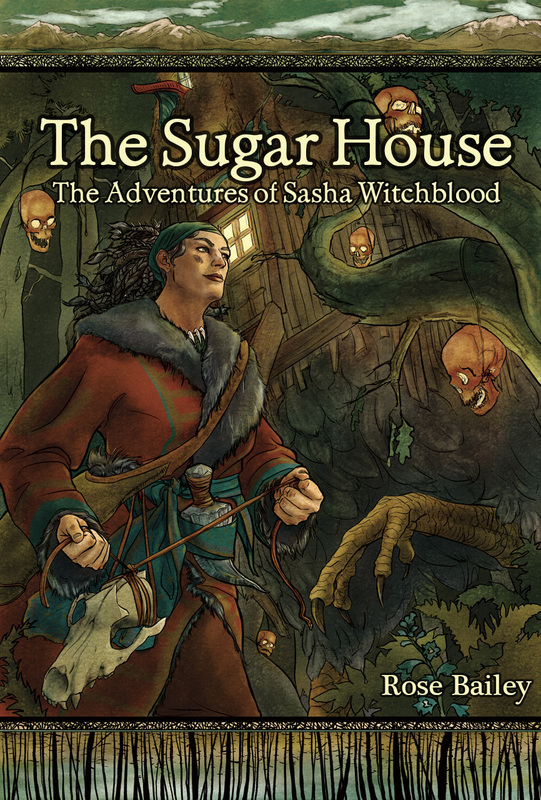 The Sugar House announcement: Wherein I first offered the book for sale, and talked a little bit about the genesis of Sasha as a character. Unlovely, Dark, and Deep: A discussion of Sasha’s forested and frightening world. All posts tagged “Sasha”: A complete listing of posts I’ve made regarding Sasha and her adventures. 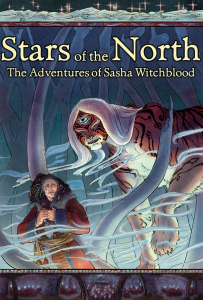 I’ve really been enjoying your writing and was wanting to know if you were planning on making Stars of the North (Volume 2) available on Drivethrurpg?